Edited by AvidLiving, 26 November 2017 - 05:58 PM. 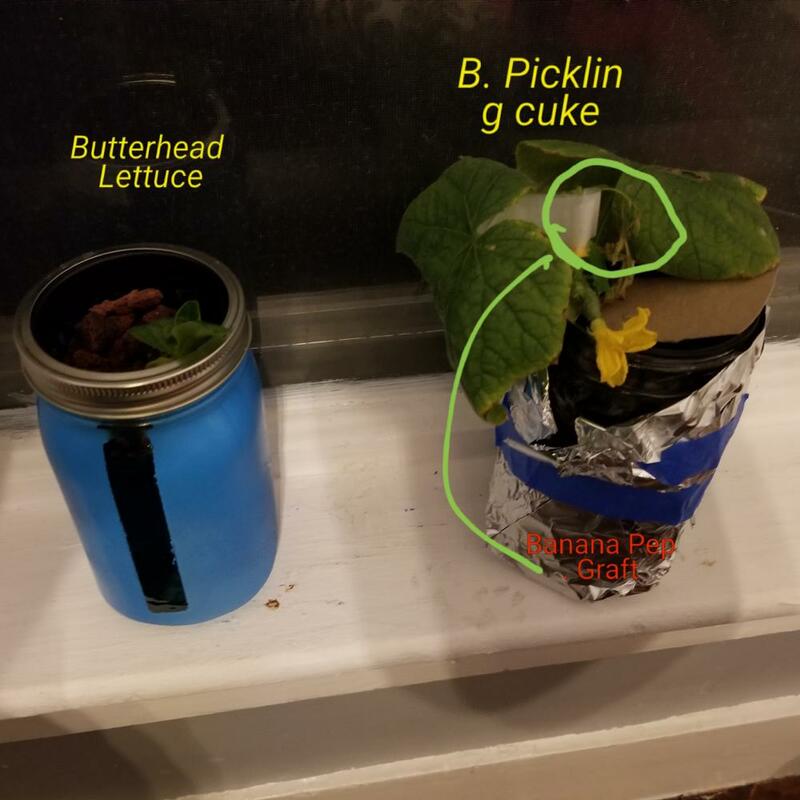 12/1/17 - cuke is fruiting. Black Cherry is shooting out flowers and Carbon is almost 2 ft tall. Windowside lettuce is doing well and cuke is living. Update on the basement grows. 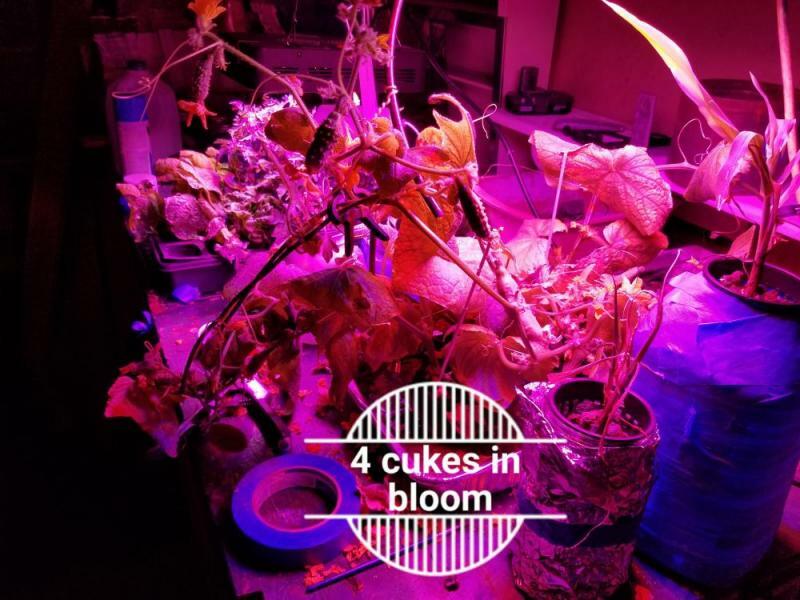 4 cuke plants still pumping. Flooding every other day.. as you can see if maximized. The roots have grown out into the water and has a big root system. The tomato variety is doing well and the lettuce is almost ready for a harvest. 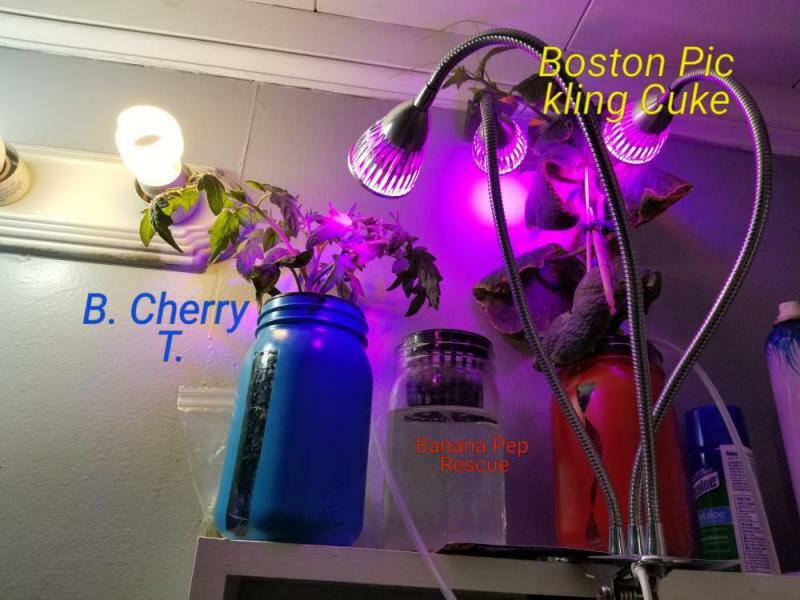 I did take a few of these tomatoes and brought upstairs to the bathroom grow of three cfl. Reaching to the light evidently! Edited by keybrdkid, 05 December 2017 - 07:10 AM. Which part? The clip that holds the lights to 5he cabinet? That clip is very strong. The lights are sturdy and I can bend them in any direction. I'd rather use my panels but haven't built a casing for them yet to bring upstairs. Ooh. They do pretty well. Each is 5w mid of red blue. They provide a little more than the 3 cfls in the same room. Tomato plant is doing great! Flower has been pollinated and now is closing up to start growing! 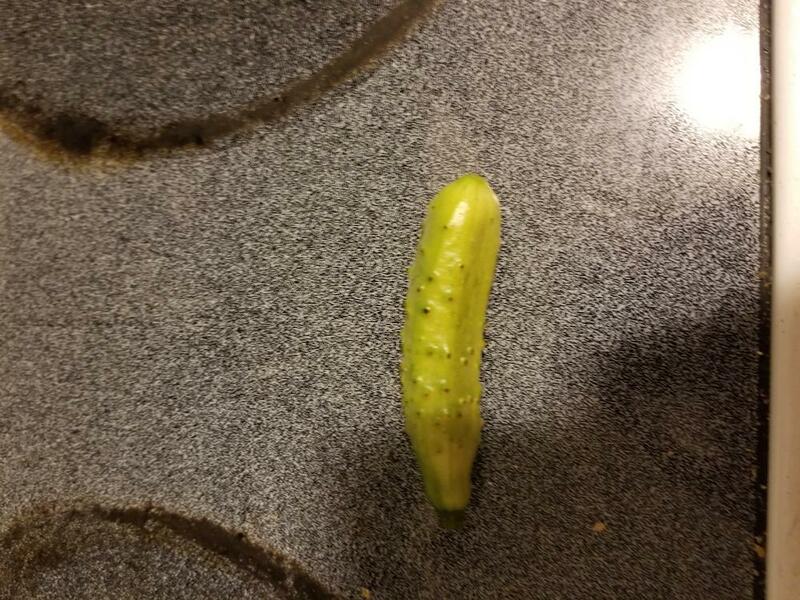 I untied the cucumber and just going to let it do it's thing and vine around. Added another cucumber into a Kratky. Kratky Tomato is doing well. Catnip is finally showing a second set of leaves in the middle. Cats solicit the toilet just to sniff it many times a day. Some fresh BLTs for us tonight! The b cuke has been moved up the mirror to give it more light. Doing well but pretty old now..not sure if I'll get any more cukes from it. 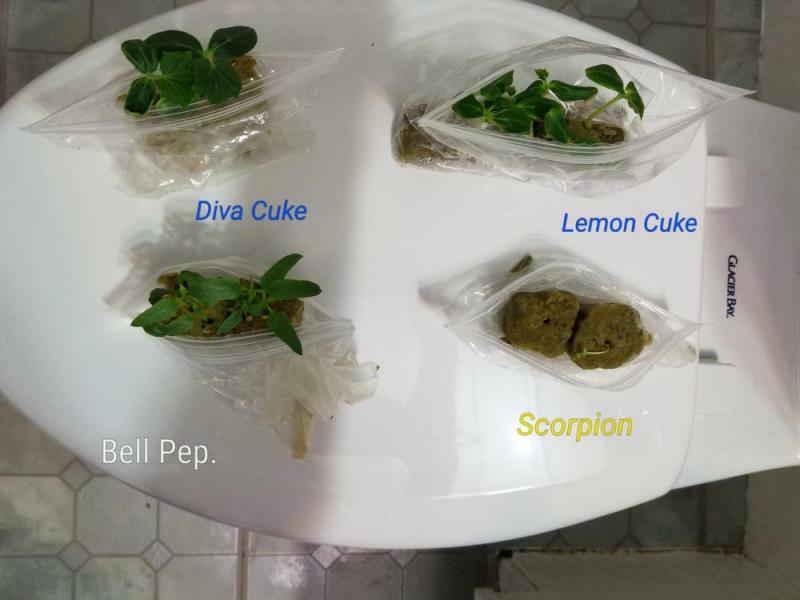 The lemon cukes from baggies in rockwool have been moved to cups/Jars. 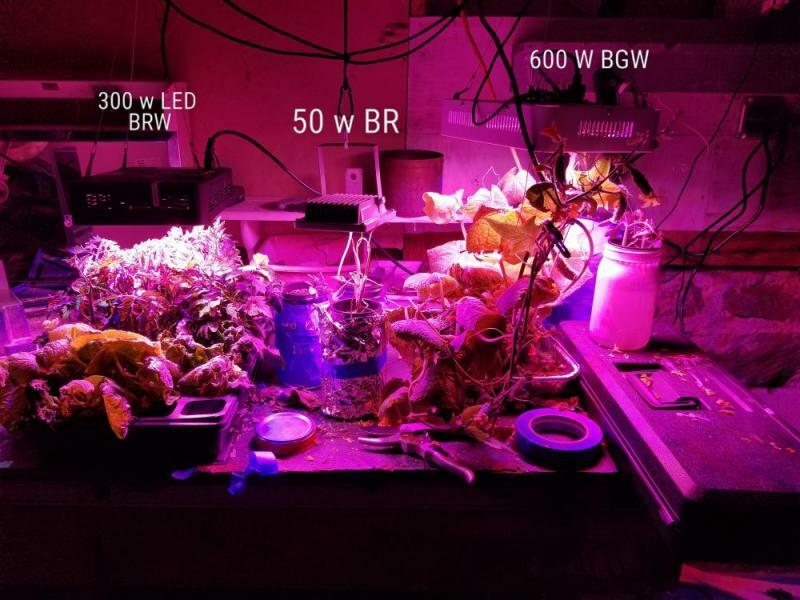 I decided to show a comparison on DWC vs Kratky. 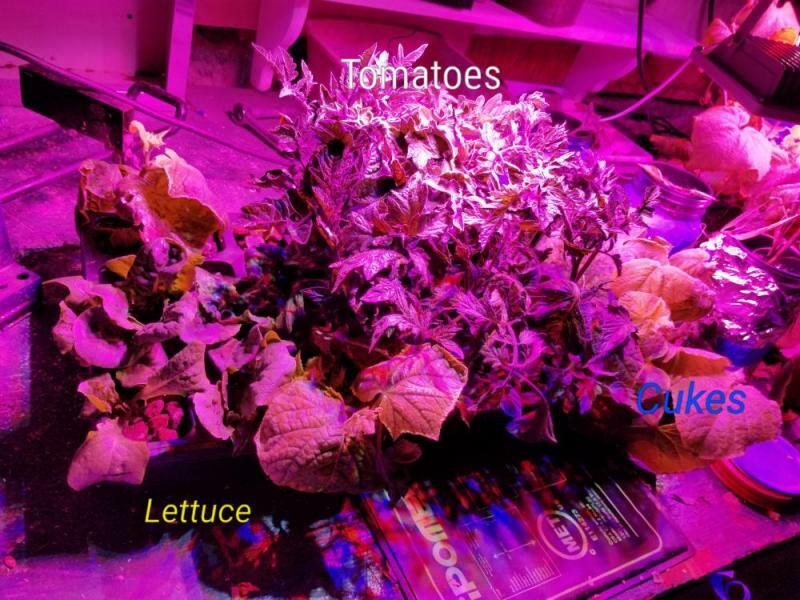 The hydroponic tomatoes of the same strain have major differences in growth. The DWC is about 1/3 taller and has an established sucker that is now a permanent branch. The kratky has stopped growing taller compared to the dwc.. Roots look Good! A little dirty from the myco. Another update on the basement grows. 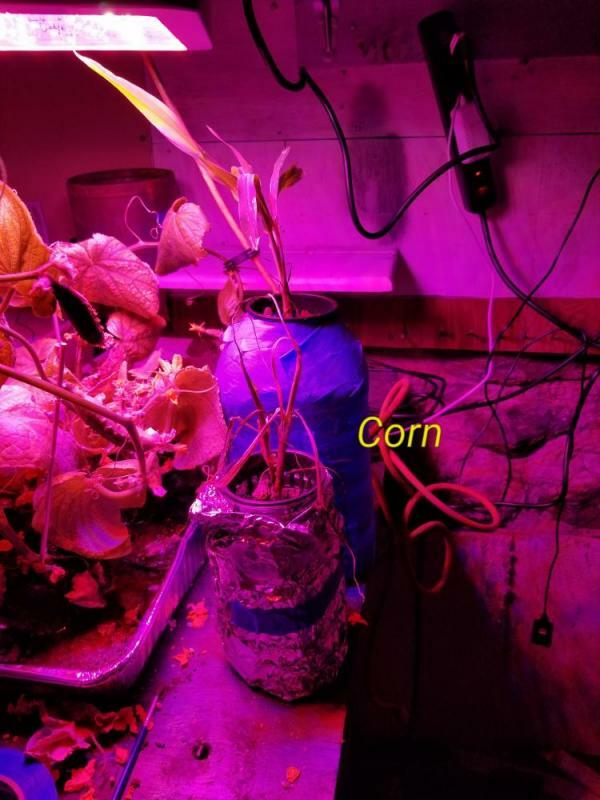 Corn has doubled in height! Tomatoes are flowering but I doubt any pollination. Too cold and the flower stamens- are hard as a rock. Also- my cats love lettuce so my window grow was annihilated.. sad. I started new sets of buttercrunch. Highly recommend it. I was pretty depressed with my pepper germination recently that I started some fortex green bean seeds 48 hours ago. Almost all sprouted so I'm exited to see where this takes me! Tomatoes in basement are all flowering and the corn is growing in height! 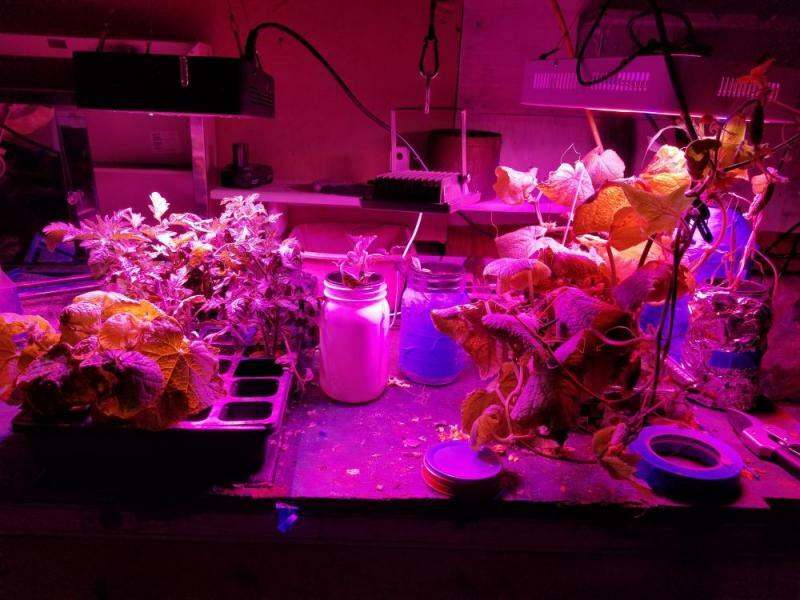 Grow tent to be set up tomorrow and slowly introduce warmer climate for these folks. My corn is no longer.as I was transferring plants upstairs; my lovely cat thought it was a good time to eat it!! I have now fortex green beans in the cup. Romaine lettuce in the tub. All my tomatoes everywhere; they were not ready for the climate change from < 50 degrees to 70 in tent... leaves are a little burnt but new ones are growing. 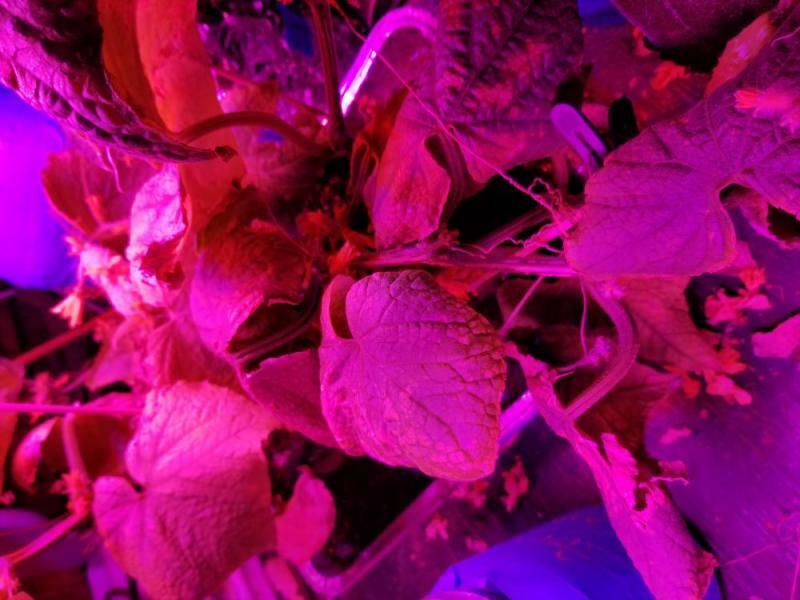 If you look at the pictures prior, the leds were inches from the leaves. 6 flowers and I hope I finished pollinating them. Love the Carolina pollinators. Catnip now has 3 sets of leaves. Lemon cucumbers are growing everywhere! Buttercrunch lettuce grew some two inch leaves; harvested for sweet blts today... can't believe it is such a set it and forget it crop. On order is: spaghetti winter squash seeds, walla Walla sweet onion seeds, and patio egg plant seeds. I'm interested in garlic too or carrots but I'm not too sure on how I'll do the hydro on that. Most plants are in DWC or nutrient flood tables. I was pretty depressed with my pepper germination recently that I started some fortex green bean seeds 48 hours ago. I was depressed with mine also. But since I know that it couldn't be Judy's seeds that were the problem, I did a little investigating into my own method. As it turns out, I forgot the one thing that actually mattered. And I figured out a little trick that required no heat mat or anything that seems to work rather well for me. Go to the grocery store, and to the sandwich department. Buy a deep plastic container of sandwich cold cuts (flavor of your choice,) and make a sandwich. Post the sandwich in the Sandwich thread here on THP. Eat all the cold cuts. And once you have an empty container, wash it out and dry it. Keep the lid. Then place them to one side of the container so they don't fall over if accidentally bumped. Then carefully place the lid on top of the container but leave it just slightly ajar so that it lets in a small amount of air. This does something to either improve the humidity, or control the airflow. 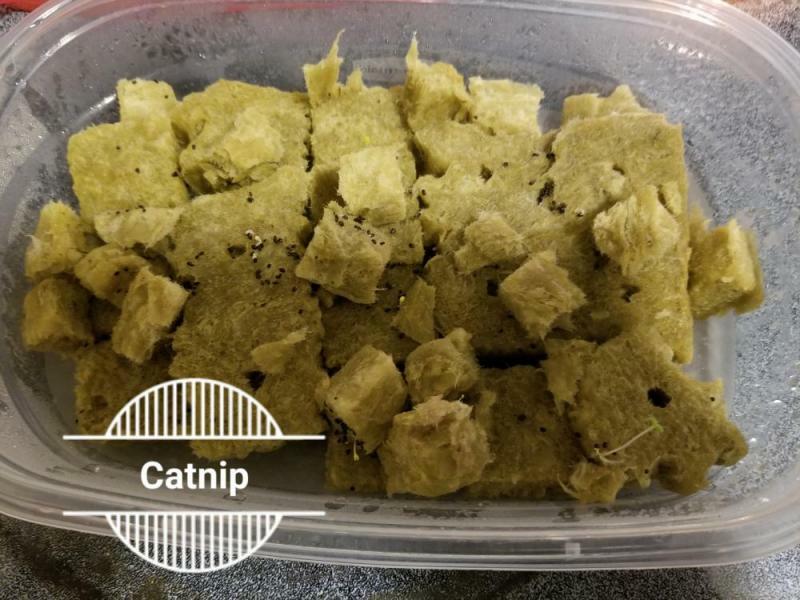 I'm not sure which, but it improved my germination rate to about 80%. Could have been higher but I dropped one lol. The other might have been a dud. This as opposed to when I left the lid off for a week or so, and got no germination from the peppers at all. If you are already doing this, I don't know what to tell you. Increase your air temps and control the humidity maybe..
Edited by keybrdkid, 01 January 2018 - 06:53 PM. The sandwich containers worked! I actually switched to coco for a medium to transplant to rockwool but I'm excited everything is popping. So thank you!